We’ve all heard about the much-ballyhooed ADHD Hyperfocus. I’ve wondered about it for years. (Frank South sheds light on the topic below, in an excerpt from his new book.) Specifically, how do the folks claiming the “gift of ADHD hyperfocus” know what regular old intense and prolonged focus feels like? 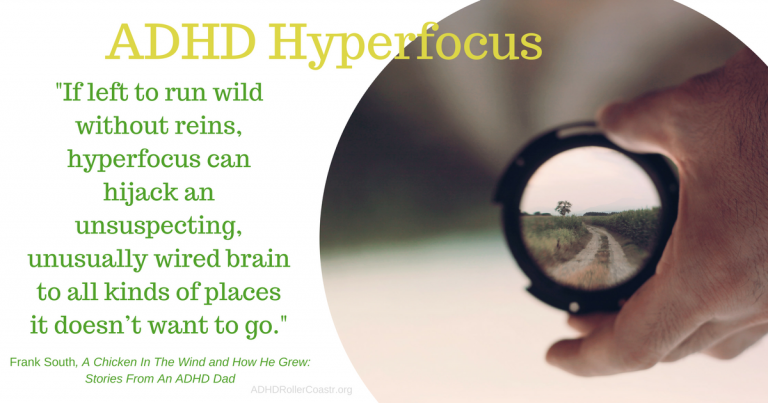 By the same token, because … Continue reading “ADHD Hyperfocus”: All It’s Cracked Up To Be?